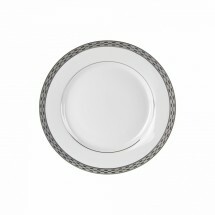 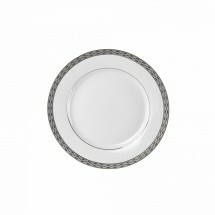 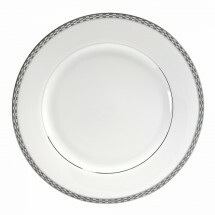 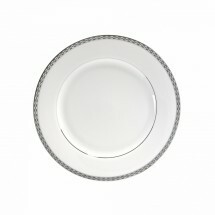 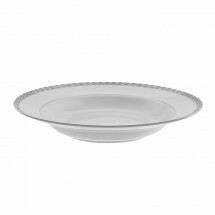 The Athens Platinum dinnerware collection from Ten Strawberry Street features a glimmering two-tone silver pattern along the rim that will bring flair and elegance to formal dining occasions. 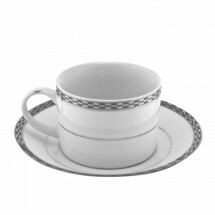 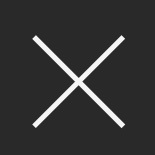 This restaurant dinnerware collection features charger plates, dinner plates, bowls, cups and saucers and more, to create an unforgettable table setting that will underscore your signature menu items. 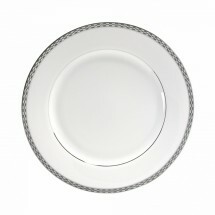 This collection is made of fine porcelain and is dishwasher safe for easy clean-up.